We all deserve to relax and get pampered—and what better way to do this than by visiting a health spa with a steam room and sauna? 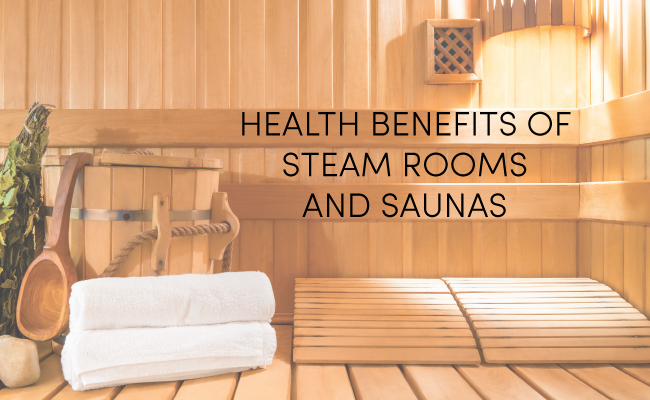 Not only do saunas and steam rooms both increase the heartbeat and improve circulation, they also have their own individual health benefits. Continue reading in order to discover which of the two unwinding environments suits you best. The heat from a sauna soothes your nerve endings and warms and relaxes muscles, in turn relieving the tension from your body and minimizing joint pain. This is especially beneficial for those who suffer from illnesses such as arthritis, painful migraines and headaches. Saunas can be used as a means of calming the body and relieving it of stress. If you suffer from insomnia (one out three people have a mild case), it can also help induce sleep. The heat from the sauna helps the body release endorphins, a feel-good chemical that reduces the effects of stress on the body which can relax you enough to sleep better. The sauna heats up your body, so when you leave and begin to cool down, your body releases increased levels of melatonin, helping you feel more relaxed and therefore allowing you to have a deeper sleep. The steam room helps to open up airways which improves your breathing and alleviates congestion. The wet heat from the steam room thins and opens the mucous membranes in the body, which helps to relieve pressure. This is highly beneficial for those that suffer from asthma and bronchitis, as it helps with sinus relief. 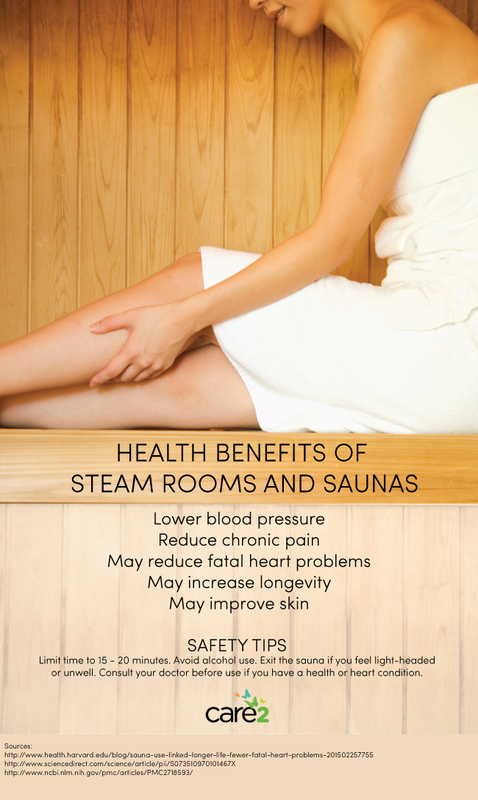 The steam room also increases metabolism and can aid with weight loss. The steam room causes you to sweat, which means that your body is losing water. As water makes up a large part of your body weight, the emission of the sweat will cause you to lose a few pounds. The sweat also helps to remove toxins and cleanses the body. In terms of reaping the benefits for your skin, the sauna is better for muscle relaxation and lowering blood pressure whereas the steam room will help with overall detoxification of the body—the preference is yours. Saunas use dry heat whereas steam rooms use more moist heat. Both facilities open up your pores and increase blood and lymphatic circulation, which will effectively aid in softening your skin. You will notice a healthy pink glow in your skin, which will make you look younger, so not only will you feel good but you will also look rejuvenated. The steam also helps to clear out any impurities from the skin which is especially good for those who have acne. Similarly, saunas will help to eradicate blackheads to give you clearer skin. That being said, do make sure that you don’t stay in there too long—spending too much time in a sauna can lead to excessive thirst and too much time in a steam room can cause dizziness or even a rapid heartbeat. In addition to steam rooms and saunas, spas may also have specialist treatments available such as body wraps to aid weight loss and even deep tissue massages for muscle tension relief. Visiting a health spa is good for one’s well being—it not only relaxes the mind and body, but can help with illnesses and decreases stress levels. Qurratulain Zaheer is a health and beauty researcher and writer interested in discovering new and exciting approaches to achieving gorgeous skin.